The theatre of sport is given full-blown operatic treatment in this National Film Unit classic. 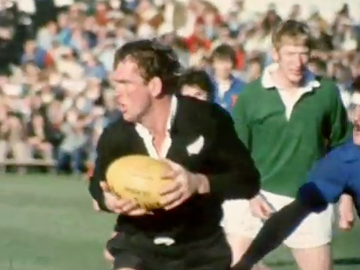 Footage from the French 1979 rugby tour of New Zealand is rendered in slow-motion and cut to a Tchaikovsky score. The result is an often glorious, sometimes tongue-in-cheek, paean to rugby. Balletic lineouts, driving tackles, and the dark mysteries of the ruck, make for a ballsy Swan Lake in the mud. It includes the Bastille Day French victory over the All Blacks. Directed by NFU stalwart Arthur Everard, it won a jury prize at the Montreal World Film Festival. There's panic on the streets as 19-year-old tearaway Ska (Matthew Hunter) comes to terms with love and death in Auckland's 80s urban underworld. After an ultimately tragic attempt to 'rescue' his prostitute sister, Ska plots revenge at a rock gig ... with riotous results. 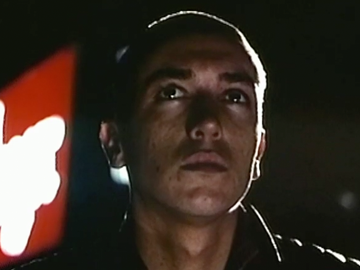 Directed by Bruce Morrison when broken glass was still on the ground from the Queen Street riot, the film was inspired by a story from 16-year-old Richard Lymposs. In this teen spirit-infused excerpt, street-fighter Ska saves rich girl Stacy (Kim Willoughby), and meets her classy parents. Youngsters Romeo, Ed, and Polly wait in two cars after dark while their parents are inside drinking. It’s a situation many Kiwis would recognise: cars without parents outside the bar or rugby club. Soon cross-car rivalry warms to budding friendship. 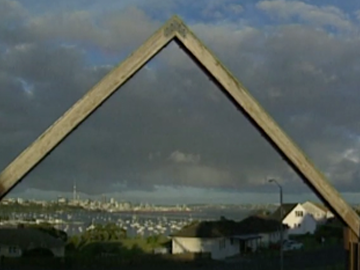 Winning performances, and the tender mix of comedy and romance saw the tale of a Te Kaha pub carpark become an international hit. 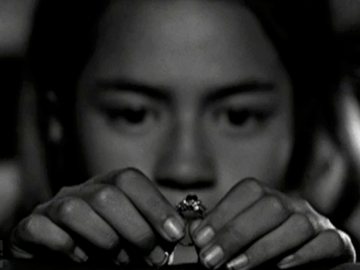 Two Cars won a boot-full of awards, launched Waititi’s career, and was the second New Zealand short to be nominated for an Academy Award. Waititi infamously feigned sleep during the 2005 ceremony. 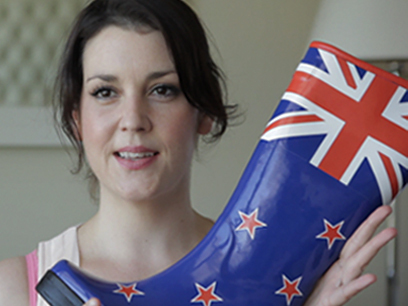 This star-studded short features Kiwi icon Colin ‘Pinetree’ Meads, plus Melanie Lynskey (Heavenly Creatures), 7 Days comics Dai Henwood and Steve Wrigley, Olympic shot putter Valerie Adams and All Black first five Beauden Barrett. The celebs reflect on a radical reboot of beloved Red Band gumboots by Denise L'Estrange-Corbet, from fashion label World. A deadpan Meads is alarmed by this affront to farming fashion. Co-produced by Millie Lynskey (sister of Melanie), the film took away the Viewer's Choice award at the local arm of short film event Tropfest. When 150 Niuean men were shipped off to Auckland en route to the Western Front, they had no idea what lay ahead. This Great War Story features the granddaughter of one of them, and the historian who researched his journey. 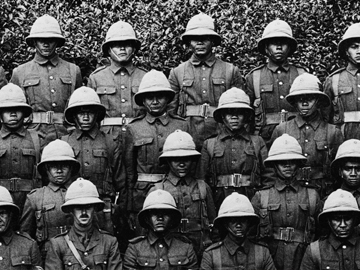 Falaoa Tosene was “volunteered” to the NZ Māori Pioneer Battalion as a labourer. Unfamiliar food, uniforms and boots for men who had never worn shoes were the first shocks. In France, they faced freezing temperatures and disease. Tosene was hospitalised with trench foot. He survived, thanks to a former missionary, but 30 of his comrades died.